All Nippon Airways (ANA), the international carrier of Japan, was founded in 1952 with just two helicopters. Today, it is the largest airline in Japan on the basis of fleet size, revenue and number of passengers carried. On October 30 this year, the leading Japanese carrier inaugurated its Business Aviation arm with the launch of a pair of business jets, the HA-420 HondaJet. Initially, this light-weight twin-engine business jet will provide air connectivity for high end business executives who are the privileged customers of ANA, to fly from Tokyo to Chicago O’Hare and Los Angeles International Airports in the United States (US). Before the end of the current year, the company plans to add another city in the US in the network. Also, ANA has plans to add a third HA-420 HondaJet in 2019 to expand the size of the fleet, albeit to a limited extent. 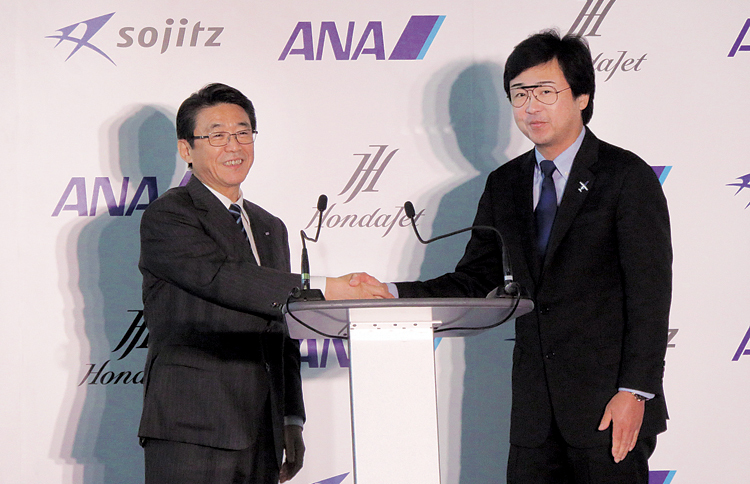 On March 28 this year, ANA and Honda Aircraft Company announced the signing of a Memorandum of Understanding (MoU) for a strategic partnership to support the expansion of the business jet market around the world with the help of the HondaJet. ANA will introduce current business jet users and its commercial flight customers to the HondaJet by maximising the utilisation of the aircraft in its charter and feeder flights connecting them to the existing broad network at major travel hubs in North America and Europe. Honda Aircraft Company will support working with global charter operators to provide exceptional coverage for ANA’s customers and establishing a framework for ground support functions at a variety of ANA’s transit locations. The concept of the establishment of a Business Jet wing by a well to do airline, was first adopted by the Middle East carrier Qatar Airways. The plan to set up a corporate jet subsidiary was first announced by Qatar Airways at the Air Show in Paris in 2009. This new venture was brand named as Qatar Executive and it commenced operations in June the same year. Nearly nine years later, ANA has followed in the footsteps of Qatar Airways. The HondaJet HA-420 is the first aircraft developed by Honda Aircraft Company. This business jet was designed in Japan, but was then developed and manufactured in Greensboro, North Caroline in the US. It is a technologically advanced platform in its category and is the fastest, highest-flying, quietest and most fuel-efficient business jet in its class. This platform incorporates several technological innovations in aviation design, including the unique Over-The-Wing Engine Mount (OTWEM) configuration that dramatically improves performance and fuel efficiency by reducing aerodynamic drag. The aircraft is equipped with the most sophisticated glass cockpit available in any light business jet, a Honda-customised Garmin G3000. 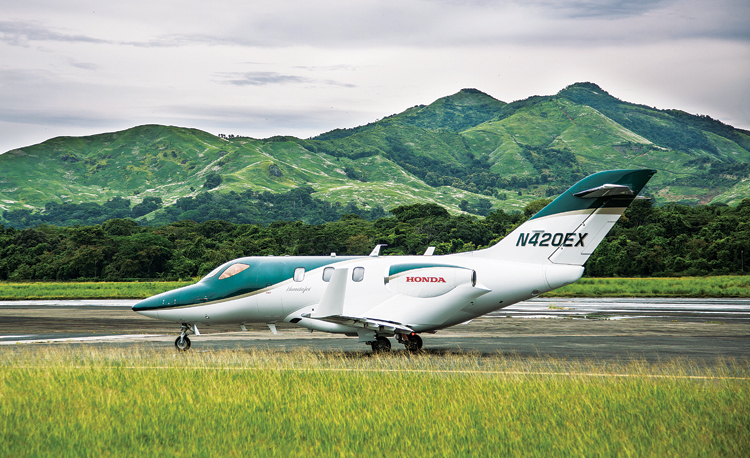 This is the first commercial aircraft designed by Honda Aircraft Company and lives up to the company’s reputation for superior performance, efficiency, quality and value. 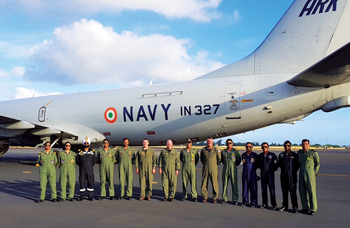 However, development of this business jet has not been without its share of problems leading to inordinate delays. The first proof-of-concept version which was not productionready, flew for the first time on December 3, 2003, in its factory location in the US. Commercial development of the platform was approved in 2004 and the HondaJet made its global debut on July 28, 2005, at the air show at Oshkosh. The first HondaJet built in accordance with FAA specifications and rules, undertook its maiden flight on December 20, 2010. The first production model took to the air on June 27, 2014 and was on display again at Oshkosh the same year on July 28. By then, the platform had accumulated 2500 hours in test flying alone. The initial plan to obtain FAA certification for the HA-420 was by the end of 2010; but the aircraft could be awarded only a provisional certification in March 2015 and finally the type certification in December 2015. This finally cleared the way for delivery to customers. The HondaJet HA-420 received European Aviation Safety Agency (EASA) certification in May 2016. Thereafter, the platform was certified by regulatory agencies of other nations such as Mexico, Canada and Brazil. 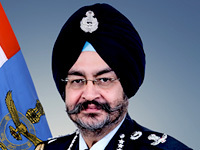 A business model wherein a prosperous airline with enormous resources at its command and large clientele from affluent sections of the society, apart from a large fleet of airliners, also takes up operation of business jets to meet with specific travel needs of its premier clientele, is one with considerable potential and promise. 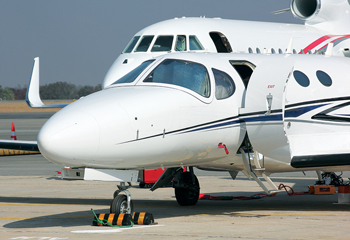 Operation of business jets by private owners or as air charters is fraught with difficulties. To begin with, private operators including air charter companies are generally ventures of small size with just a few business jets which leads to the very basic issue of poor economy of scale which in turn, impinges on the financial viability of the venture. On the other hand, operating an Air Charter Company as a subsidiary of an large and well established airline, would significantly enhance the market potential in the business aviation venture as the parent airline will be able provide much stronger financial support. With much higher levels of resources at its command, the parent airline will be able to make much larger investments, have larger fleets of business jets, provide easier and more efficient marketing, will have access to wider clientele, can provide better maintenance support worldwide, encounter fewer problems related to infrastructure and will be able to arrange for easier and better ground handling for the business jets. The management of the parent airline will also be in far better position to cope with regulatory challenges across the globe. 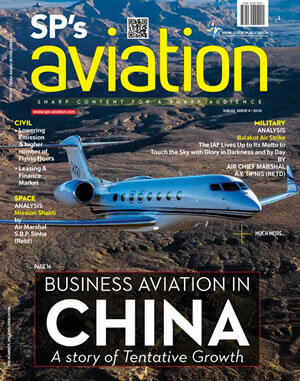 It will no longer be a case of business aviation fending for itself and remain engaged in a perpetual struggle against a host of challenges that confront small time and independent air charter operators. ANA has indeed embarked upon a potentially rewarding business model with the launch of its air charter subsidiary operating the HondaJet HA-420.